Every now and again, I review a brand of watches whose name is misleading. 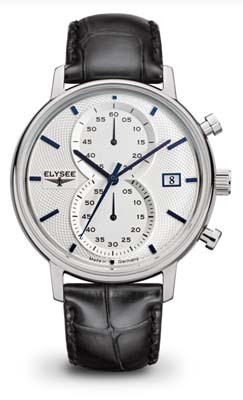 That’s the case with Elysee watches, which I would assume, from the name, would be a French brand. They’re not; despite the French-sounding name, the timepieces actually made in Germany. The odd thing about that is that while the Germans have a reputation for good build quality and they’re right next door to Switzerland, there aren’t really a lot of German watch companies. In that regard, these watches fall into rather limited company, though it’s worth noting that German manufacturers do tend to make pretty good watches. That’s the case here, and they’re trying to strike a good balance between quality and price, and they’ve done a good job of that. The company was originally founded in 1920 and has had a couple of reboots over the years. The current incarnation of the company dates from the early 1990s, and the offer a good selection of affordable timepieces for both men and women. Read on for the full Elysee watches review. The build quality is quite good. Cases are stainless steel (though some are available with rose gold plating,) and the watch face is protected by either hardened mineral crystal or rock-hard sapphire crystal, depending on the model. Straps are made from leather and bracelets are made from stainless steel. Water resistance for most models is 30-50 meters. The movements may be imported, but the watches are designed and assembled in Germany, and say “Made in Germany” right on the face. If you’re looking for unique innovation, you likely won’t find it here, but they do offer a nice selection of models with complications. You’ll find moon phases, dual time zones, chronographs, date complications, and a few models offer a skeleton window to allow you to see the working movement inside. While you won’t see a wide variety of colors in the product line, you will see a lot of bold face designs. Many models include subdials of various styles to provide date or the seconds, rather than using a standard window or a sweep second hand. Chronographs are popular models, as you might well expect. Case sizes for men’s models tend to run in the 40-44mm range, so they’re fairly good sized watches. Women’s models are smaller, and typically about 32mm in size. While you won’t find precious metals or gemstones in Elysee watches, a lot of the women’s models include crystals on the bezel. You’ll also find a number of models with brightly colored straps, though the faces themselves lean to the black, white and occasional blue. Care and maintenance will vary by model. If you have a model with a quartz movement, you’ll need to have the battery replaced every 2-3 years. If you have a model with a mechanical movement, the company recommends that you send your Elysee watches to them for service every 3-5 years in order to ensure that the watch continues to run correctly. Exchange glass, crown, dial, etc. Thorough maintenance includes taking apart all the pieces of the watch, cleaning them and eventually oiling and putting the pieces of the movement back together. Finally a quality check is carried out and a twelve month service warranty is granted. You’ll want to store your watch in a cool, dry place, and keep them away from extremes of temperature and strong magnetic fields. With proper care, your watch should run well for years to come. 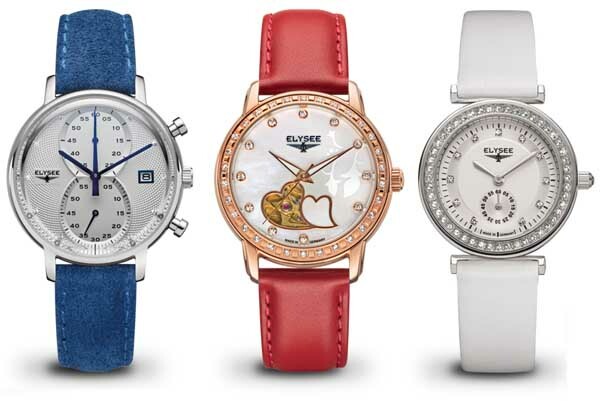 The warranty offered with the purchase of Elysee watches is the industry standard – two years. The company will warrant your purchase for two years against defects in materials and craftsmanship. Probably 90% of all watch companies offer a similar warranty. As these watches are well tested at the factory, defects are likely quite rare. These watches were created with the intention of offering good build quality at a reasonable price, and they’ve largely succeeded at that. While you can easily spend thousands or even tens of thousands on a designer wristwatch, prices range from a low of about $100 to a high of about $1000. Most models, however, are priced in the $200-$400 range, making them quite affordable, as designer watches go. If you’re shopping for this brand, you can find them for sale at both brick and mortar stores and at a number of online stores. Offline, you’ll likely find the brand at specialty watch shops. 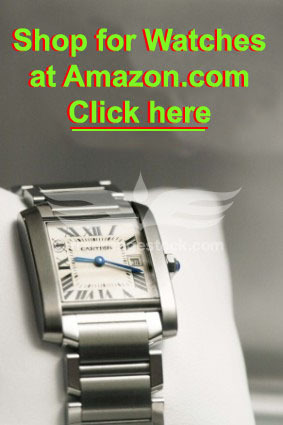 Online, you’ll find them at most retailers that stock a large variety of watch brands. Shopping online may also provide your best opportunity to buy discount Elysee watches, as online retailers have less in the way of overhead expenses and are in a better position to offer competitive pricing. If you’re looking for interesting styling, good build quality and an affordable price in a wristwatch, this brand might make a good choice for you. The name might sound French, but the design and build quality are German all the way. Movements are sourced from reliable suppliers in Switzerland and Japan, but the designs are German, and the watches are built in Germany. The pricing is quite affordable, particularly for a European watch brand, where prices can often run into the thousands. 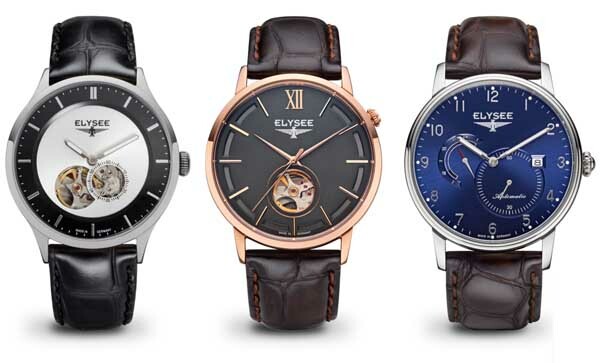 Elysee watches provide a good selection of models and styles and offer them at an affordable price. That’s a good mix. Smart Watches - Will They Take Over?